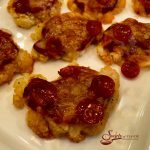 Tender biscuits filled with a saucy Sloppy Joe filling make Sloppy Joe Pockets a delicious game day food for your Super Bowl party, on-the-go snack, hot lunch that’s fun for kids! An easy homemade Sloppy Joe filling makes every bite of these portable pockets ever so tasty! Do you love those saucy juicy Sloppy Joe sandwiches from your childhood? Me too! But I’m not a fan of that canned beef mixture. Our homemade sloppy joe filling is so delicious and easy to make you won’t know why you ever used that canned stuff. 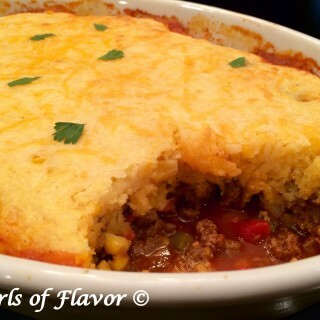 Ground beef combines with just a few basic kitchen ingredients to make a saucy beef mixture that fills these tender biscuit pockets. 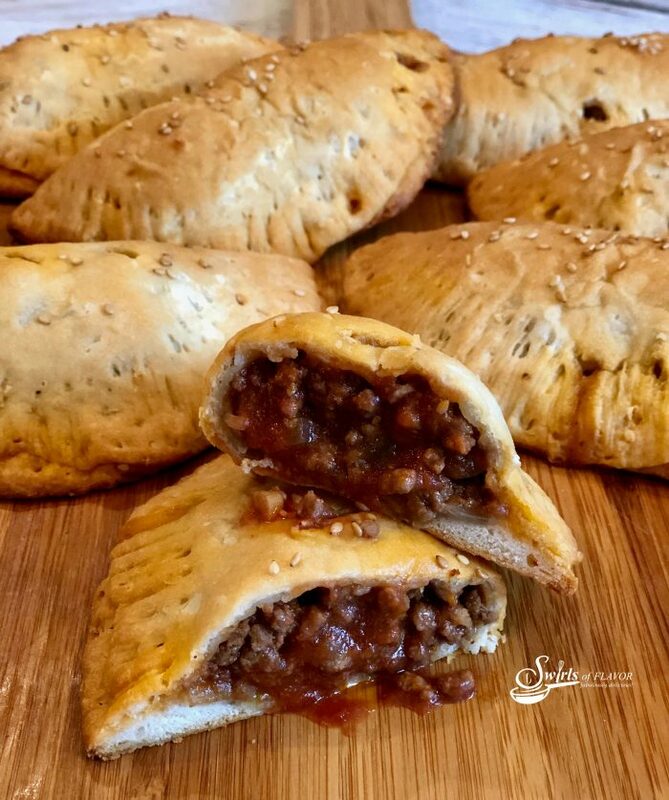 You will love our Sloppy Joe Pockets for this weekend’s Super Bowl get together and they’re fun for kids as an on the go hot mess-free lunch. 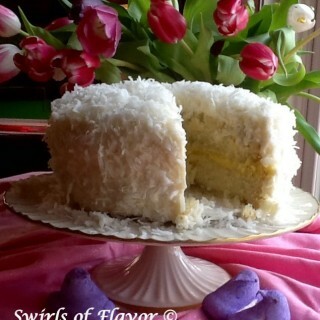 And you can make the filling ahead, refrigerate and then bake into pockets when you’re ready! What is a Sloppy Joe sandwich? The sloppy joe sandwich is a mixture of ground beef,cooked with onions, tomato sauce or ketchup and Worcestershire sauce and other seasonings too. 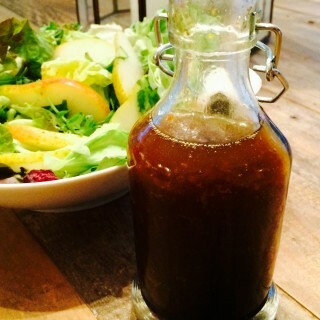 This saucy beef mixture is typically served on a hamburger bun. Where does Sloppy Joe originate from? Also referred to as a “loose meat sandwich”, the sloppy joe’s origin is said to be associated with a cook named Joe in Souix City, Iowa. Back in the 1930’s, Joe added tomato sauce to his loose meat sandwiches and the “Sloppy Joe’ was born. Although there are several stories of the origin of this sandwich making it’s origin somewhat “sloppy” and who really knows the true origin? 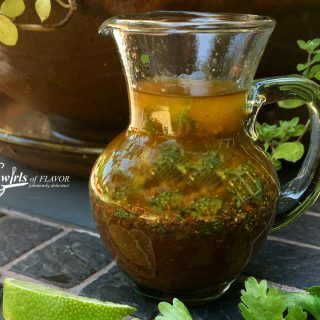 You can’t serve just one recipe at your Super Bowl get together. That just wouldn’t be right! Check out these recipes that are fit for a championship game! 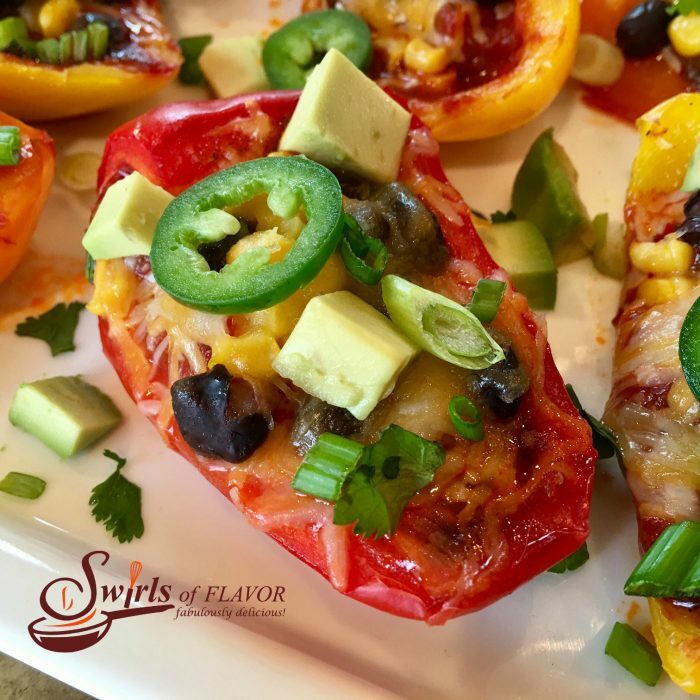 Spicy Nacho Stuffed Peppers is an easy appetizer recipe seasoned with taco seasoning and brimming with salsa, black beans, corn, avocado, jalapeno and cheesy goodness! 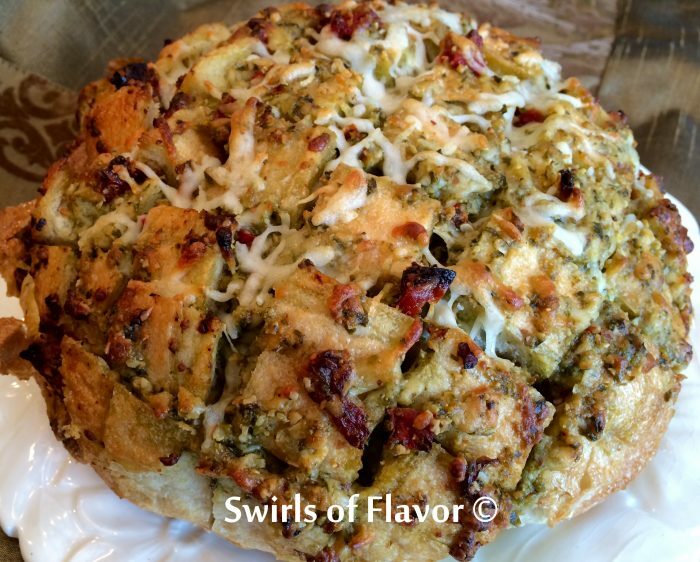 Cheesy Pesto Pull-Apart Bread is an easy appetizer recipe made with just four ingredients. The perfect blend of pesto, mozzarella and sundried tomatoes fill every nook and cranny of this baked pull apart bread! 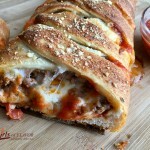 A perfect appetizer recipe for the big game! 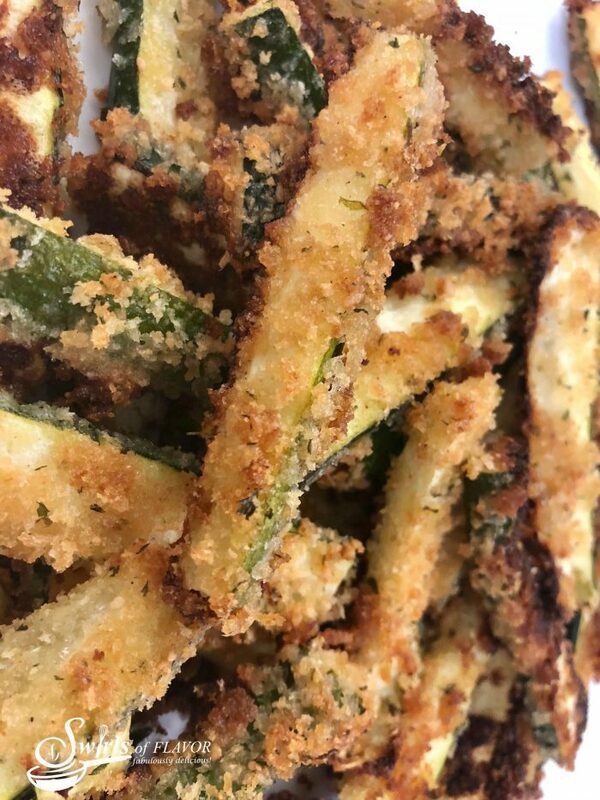 No one will know that Baked Zucchini Fries are healthy for you because they taste so fabulous! Seasoned panko breadcrumbs combine with Parmesan cheese for a delicious crunch you won’t be able to resist! 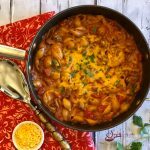 Serve with your favorite dip as an appetizer for those football fans in your life! 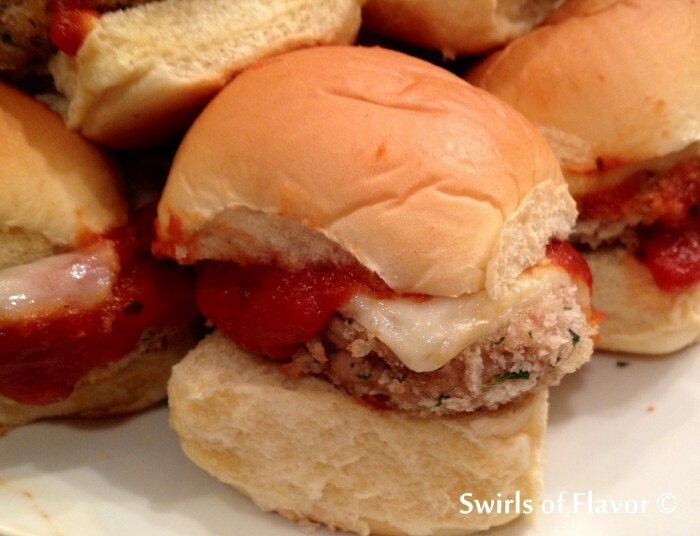 I’ve turned the comfort food favorite of Chicken Parmesan into trendy Chicken Parmesan Sliders for your Super Bowl party! A seasoned mini chicken burger coated in crunchy panko breadcrumbs is topped with melty mozzarella cheese and seasoned sauce and served on mini slider buns. 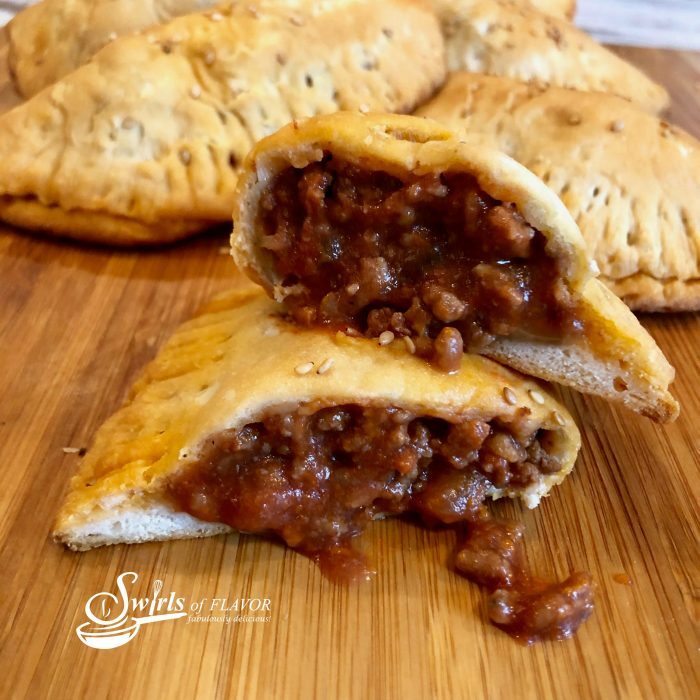 Tender biscuits filled with a saucy Sloppy Joe filling make Sloppy Joe Pockets a delicious on-the-go snack, fun for kids lunch or game day food for your Super Bowl party! 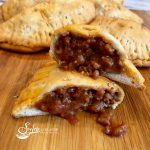 An easy homemade Sloppy Joe filling makes every bite of these portable pockets ever so tasty! Heat a large nonstick skillet over medium-high heat and cook ground beef, garlic, kosher salt and pepper until beef is browned, stirring occasionally. Stir in tomato sauce, brown sugar and Worcestershire and bring to a boil. Reduce heat and simmer 25 minutes, stirring occasionally. Remove from heat and let mixture cool to room temperature, about 30 minutes. I recommend transferring mixture to a bowl to cool faster than keeping it in the skillet. On lightly floured surface, roll each biscuit dough into a 5 1/2″ diameter circle. 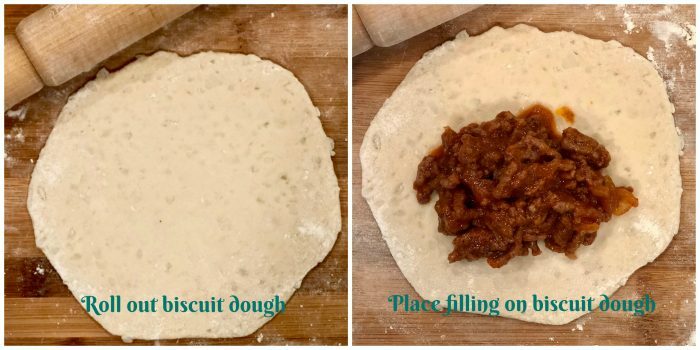 Arrange filling (about a heaping ¼ cup per pocket) in lower center of each dough circle to within 1-inch of edge. Fold dough over filling to make a pocket and seal edges with fork. 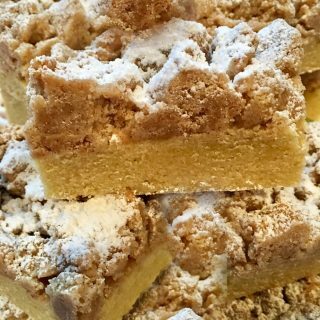 Arrange pockets a baking sheet. Brush tops with melted butter and sprinkle with sesame seeds, if desired. Bake 15-18 minutes or until golden and baked through. 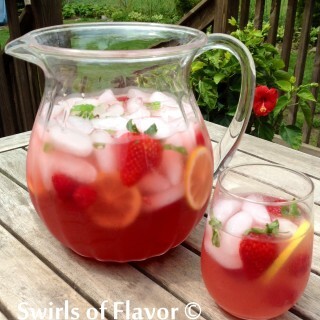 Thank you so much for sharing your awesome recipe with all of us at Weekend Potluck, Gywnn! 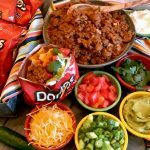 Your Sloppy Joe Pockets are perfect for Super Bowl parties today, both kids and adults would go crazy for them, We hope you stop by again to share more of your great recipes. Have a great week!